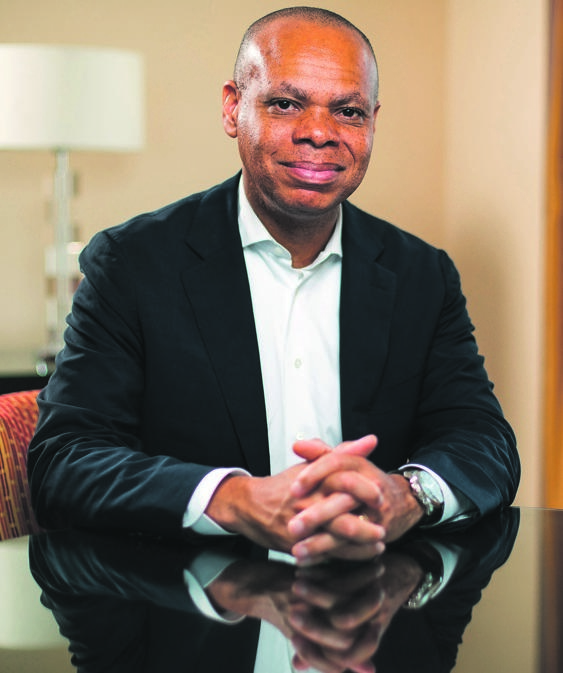 Former US ambassador to SA Patrick Gaspard says locals are more upbeat about the country than they were two years ago, but are still worried. When Patrick Gaspard officially left South Africa in December 2016 after a three-year stint as US ambassador, the thick and rough fingers of state capture were gripped tightly around the country’s neck. He has been back in his capacity as president of the Open Society Foundations (OSF), the international philanthropic organisation founded by George Soros, and was in town last week for the 25th anniversary celebrations of OSF’s presence in South Africa. When he talks about the country he left and the country he has returned to, he is both buoyant and cautiously reflective. He says that when he talks to South Africans today, there is a sense of optimism and a belief that the country now has a government that will be responsive to the challenges and needs of the citizens. “When I talk to people in the country, there is a hopefulness that there are better days ahead,” he says. “There is also a personal sense of pride” among South Africans about the roles they personally and collectively played in bringing about change through the daily activism that had not been seen since the end of apartheid. And, he adds, an upturn in decibels of “populist rhetoric that is not in keeping with the nonracial, democratic ethos”. He adds that South Africa is not alone in this. The feeling of exclusion and of being left behind is driving populations around the world into the arms of populists. The impact of the 2008 global crash and uneven recovery from this has exacerbated this tension between the haves and have nots, and between insiders and those deemed to be outsiders. The unevenness of the recovery “has deepened contestation between the working class and the business elites”, and has encouraged raw nationalism in Europe and acute xenophobia in countries like South Africa, which attract large flows of migration. And what makes this worse is the fact that it is playing out in the instant world of social media, where it is easy to “drive polarisation and to drive hate”. Gaspard believes that it is time the world accepted that the benefits of globalisation, much hyped in the past two decades, did not really materialise for all. Where the poor were told to be patient and eat their spinach so that everyone would get stronger, “they did not grow stronger”. Instead, they just keep on eating the spinach. “The elites on the left and the right must accept that globalisation did not work,” he says. It is in this challenging environment that the OSF hopes to make a difference, says the veteran political activist and campaigner. The organisation that began with Soros being affected by apartheid’s effects on South Africans on his first visit here in 1979 is now a global movement that is active in 144 countries. From initially issuing grants to enable black students to study at university, its work now spans various sectors – from health and supporting independent media to empowering activism among vulnerable communities and policy to bricks and mortar developments. Because the work of OSF was seeded in South Africa and conceptualised by local activists, the model has been “duplicated and replicated” in other regions. “South Africa has been a beacon for the entire Open Society network around the world,” he says. Because the work of the OSF has involved supporting activism, powerful enemies have not been in short supply. Even in South Africa, where the OSF has been involved in supporting health activism and independent media, there have been dark murmurings about the organisation’s true intentions. In other parts of the world, the spotlight falls on Soros, who is viewed as a mysterious Keyser Söze-type figure. Soros and OSF’s most vicious critics include Donald Trump, Vladimir Putin and Viktor Orbán – the strongmen of the US, Russia and Hungary, respectively. The criticism is a topic Gaspard relishes in dealing with, arguing that the work of the OSF will always attract enemies among the powerful. “If you are involved in trying to create economic advancement and opportunity for the poor, in fighting for the rights of minorities, and if you are involved in creating agency for people to question elites … it is likely you are going to pick up enemies among those who believe their hold on power is imperiled,” he says. He insists that the attacks on Soros and the OSF are really silencing the voices of “average citizens who are fighting for rights”. A gluttonous consumer of news, Gaspard is an ardent believer in the centrality of media in building and sustaining democracy. Since taking over as president of the organisation, he has strengthened its focus on building media capacity in the countries that the organisation works in. Part of this stems from his experiences in South Africa, where he witnessed the role the media played in activating society against the reversal of the country’s post-1994 democratic gains. “Independent media proved to be incredibly important and vital in the past several years when the value of servant leadership seemed to have diminished and self-benefit was at the core … Journalism fired up the democratic imagination of the people,” he says. Gaspard says that, among the prime measures of the OSF’s success going forward, will be when “there is a thick layer of civil society that has created a platform of citizen involvement”. But, of course, that time is far, far away.